The setting is your basic look that simply allows customers to come and enjoy a variety of healthy meals. This popular “local food” restaurant located in Kamwokya has clientele ranging from ‘tired youth’ to old men and women who love to live healthy. Why the term ‘tired youth’? Well, this is the kind that is married, comfortable and has grown through all life’s phases that they do not care where they hang out. Yes, they are past that stage of “keeping up appearances”. Now you can imagine the shock that befell everyone when this seemingly young couple walked into this eatery and ended up looking lost. Oba it would not have been a catchy sight if the babe had not exclaimed upon entering. For starters, it seemed like a first date. The girl must have been expecting more than what she got because she exclaimed at the plastic chairs, table cloths, with a frown following everything she did. She frowned while choosing where to sit, frowned while ordering, frowned when the food came and frowned while she ate, banaye! The winner was her ordering peas with an array of local food and when her date ordered for chicken, she requested that they share his stew. I do not know if I am the only one who gets mad when people are this confused with their orders. I mean, by the time one places an order, they know how they are going to have it. Now here comes another who does not know what she wants or is pretending to be aloof and pretentious then eventually starts picking from the guy’s plate. 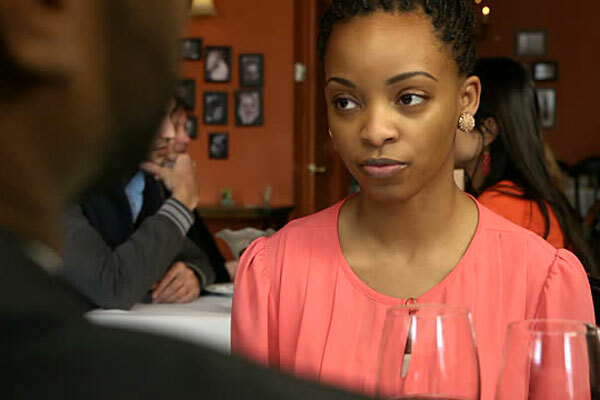 Why do chicks want to be complicated at dates? As if the “frowning” was not enough, she went ahead to even make his mealtime a nightmare! Ahem… the things that some men go through, eeeish! Once I watched a girl at a popular eatery ‘play’ with her food, only for her to ask the waiter to pack it for her as takeaway while the guy swallowed a pair of samosas! Imagine such a sacrifice only for one to ‘play’ with the food, huh! Don’t such women know about YOLO? So how about making such moments count by enjoying it like they mean it? For starters, someone is footing the bill, secondly you have company that is on tenterhooks, then you do not know what tomorrow brings and finally pretending to be another person is a whole headache. In my view if a date forces you to be another person then sit back and forget about it! It is better than putting up all sorts of acts to end up being a centre of attraction!